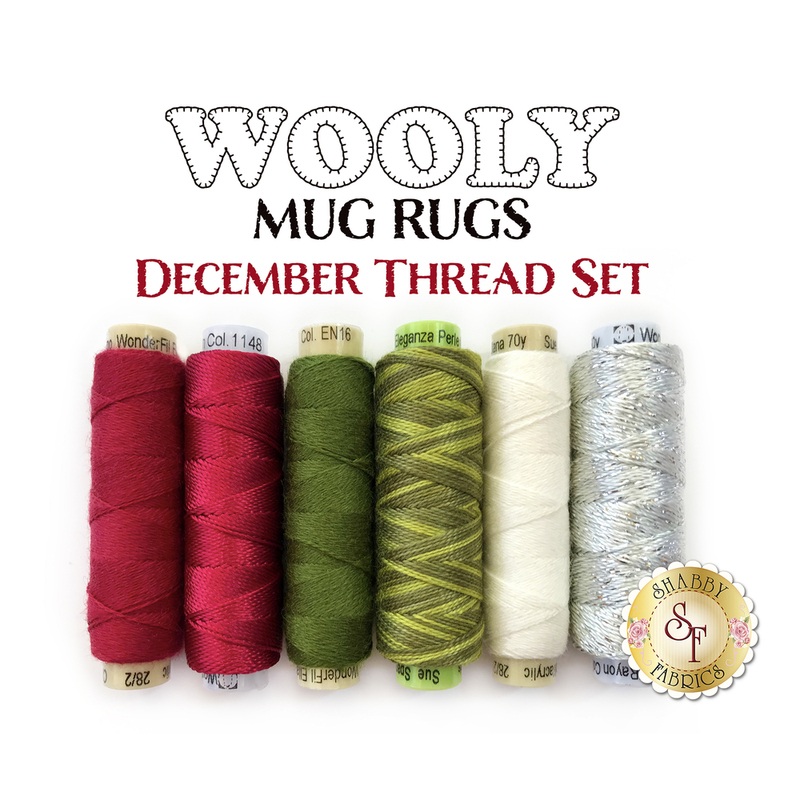 This 6 piece thread set has been carefully selected specifically for the Wooly Mug Rug December Kit! These threads are stunning and add that extra special touch to any project! Some spools available for individual sale.